Idea 3: Books, books, books! Alhamdulillah, theses days there are wonderful books for all these lovely topics! 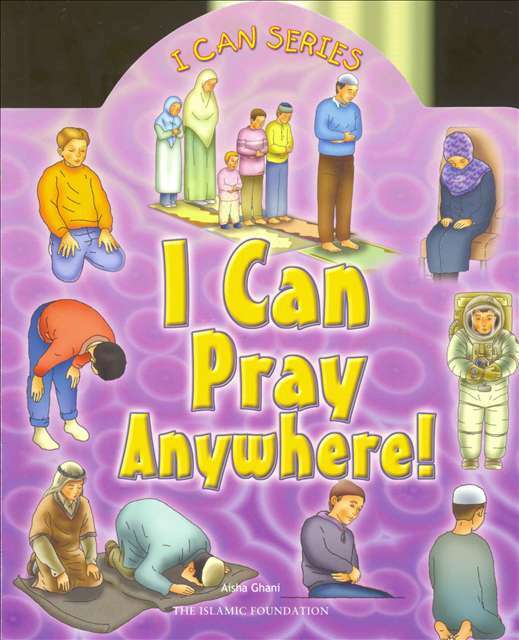 One great favourite of ours when the kids were young was “I Can Pray Anywhere” by Yasmin Ibrahim…this bright and colourful book emphasizes that you can really pray anywhere, and is one the youngsters will LOVE to read again and again inshallah. One for older children is “Time to Pray” by Maha Addasi. In this story a little girl visits her grandma in a Middle East country. During her stay, she hears the adhaan from the minaret nearby. The story weaves the the call of adhaan, actions of wudhu, salaat, times of salaat and the sweet relationship between grandma and the little girl all nicely together in a wonderful tale. There are so many others!